Fleetwood Mac stalwarts Lindsey Buckingham and Christine McVie have enjoyed long musical careers — as has their engineer, mixer and co-producer Mark Needham. In his fifth decade as a top-level engineer, mixer and producer, Mark Needham could be forgiven for being a bit of a traditionalist. Instead he’s an early adopter, who has eagerly embraced digital innovation. For example, he was not only one of the first to get Slate Digital’s Raven MTX touchscreen DAW controller, but he even asked the company to build him a custom dual-screen version. Acquiring the Dual Raven was the culmination of Needham’s gradual move from working in analogue to working entirely in the box, which began in 2004. He recalls: “As the sound of digital and of plug-ins got better and better, I had to ask myself: this UAD EQP1A plug-in sounds just as good as the two EQP1As I have in my rack, so why am I paying for maintenance on those and trying to do recalls on them? The maintenance of a large format console and outboard, and the AC to keep everything cool, is a big expense. Today Needham mixes about 400 songs a year, and frequently works on 10 projects in a single day — sessions that may contain 200-plus tracks with 10 plug-ins per track. This work ethic is aided by a daily rhythm that involves getting up a 4am and starting work at 5am. Among his many other big-name clients Mark Needham has worked with Lindsey Buckingham since the late 1990s, and mixed Fleetwood Mac’s last full-length album, Say You Will (2003), as well as the band’s Live In Boston (2004). 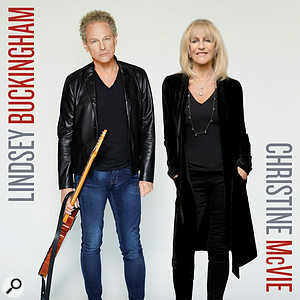 After singer/keyboardist Christine McVie returned to the fold in 2014, there was talk of a new Fleetwood Mac album, but in the end, this ambition transformed into a 40-minute long album simply called Lindsey Buckingham/Christine McVie, on which all Fleetwood Mac members appear, apart from Stevie Nicks. “We recorded maybe eight or nine songs four years ago, at the Village Recorder. After they came back from tour we picked up where we had left off to wrap these songs up and record a few additional songs. Before embarking on this project four years ago, Lindsey had worked on three tracks with Mitchell Froom, and these were pretty advanced, and it was just a matter of redoing vocals, maybe making a few small arrangement changes and in general just some additional production. We recorded the rest of the songs from scratch. They usually came in with a pretty solid direction. Lindsey had recorded demos for many of the songs, and there also were demos done by Christine, who had sent them over to Lindsey to work on them. He came up with various concepts for them. Throughout the entire project, Buckingham in particular had a very specific vision for the sound and production for the album, combining a classic Fleetwood Mac-inspired sound with more modern influences. The balance tilted towards the latter after the idea of turning the project into a Fleetwood Mac album was abandoned. Needham: “I didn’t really have to reference the sound of the Fleetwood Mac albums of the past, because it’s what the players bring to the table. What mic I put on Mick Fleetwood’s kick drum or on Lindsey’s guitar does not define what they sound like. Mick’s drum sound and John [McVie]’s bass sound are so distinctive. Part of their thing is the way the two of them land on the beat together. This is different from probably any other rhythm section out there, and we're definitely trying to stay true to that. With its two main participants busy touring in Fleetwood Mac, the Lindsey Buckingham/Christine McVie album was nearly four years in the making. Most of Mark Needham’s mic choices were tried and tested, and were tracked through the Village Recorder’s Neve 88R and some classic hardware. “On the drums I used a combination of a Shure Beta 97 on the inside of the kick, and a [Neumann] TLM170 on the outside, as well as a Moon Mic as a sub mic. The snare had a Shure SM57 underneath and a Heil PR22 vocal mic at the top. It’s white with a gold pop filter, and I started using that as a snare top mic five years ago, and I really like it. It’s got great front-to-back rejection, and it gives me a nice big, fat, pop. The toms were all Sennheiser MD421s, and I had AKG C12 as overheads, and a Neumann KM84 on the hi-hat. There were three room mics — two AKG C12s and an AEA ribbon in the middle. The studio has an echo chamber right behind where the drums sat, and I had an C12 in omni position in that. “The bass had a combination of DI and a Neumann U67 on the Ampeg B15 amp, plus a [Yamaha] NS10 as a sub. Electric guitars also were recorded DI, with a Neumann U67 on the amplifiers. I tend to use dynamic microphones on the electric guitar cabinets, but for Lindsey I wanted something a little higher quality for the crispness and extra top end, especially for his clean stuff. Lindsey’s acoustic guitars were recorded with a Sanken CU41 and a DI. The main keyboard used during live tracking was a Hammond B3, which I recorded with a Shure SM7 on the bottom and two [Neumann] U87s, and then just a stereo DI on the keys. At some stage towards the end of 2016, Needham and Buckingham switched over to the final mixing stage. Needham: “For the convenience of Lindsey and the others, we initially mixed at the Village Recorder, where I set up an interim studio that duplicates my own room here, with another custom Dual Raven and the same ATC monitors. The entire mix process took about two weeks. I did a lot of preparation at my own studio, and towards the end Lindsey and I finished off the mixes here as well. I function a bit more like the mix engineer and he like the artist/producer. He has great ears and comes up with very specific ideas on EQ and panning that are really unusual, but that work well. He likes odd panning, for example, really segmenting things off. An example are the background vocals in ‘Feel About You’, which alternate between hard left and hard right, rather than being spread across the stereo spectrum. He is big on that, and it sounds cool. 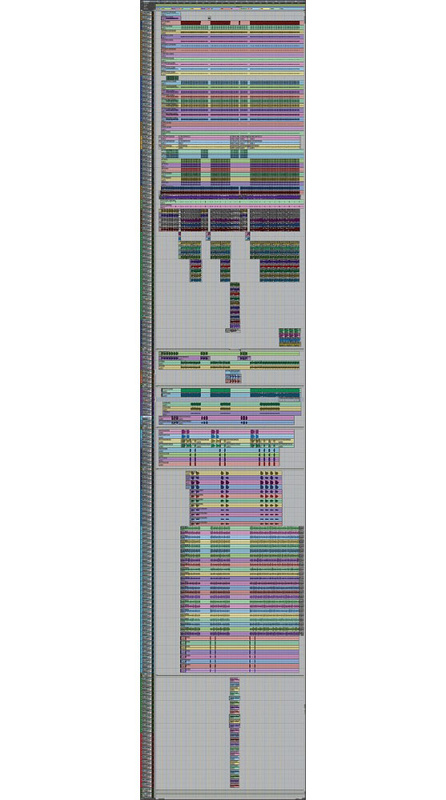 This composite screen capture, which is continued in another screenshot, shows the 189-track Pro Tools Edit window for ‘Feel About You’, with the exception of the aux and master tracks at the bottom.The final Pro Tools session for ‘Feel About You’ is 189 tracks large. 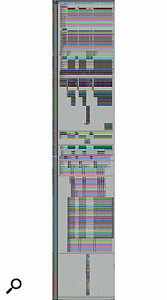 These are, from top to bottom, 44 drums and percussion tracks, five bass tracks (brown), 26 guitar tracks (green and blue), 14 keyboard tracks (purple, brown, orange and blue), five lead vocal tracks (light blue), 76 backing vocal tracks (including a striking pattern of ‘oohs’ and ‘aahs’ from 114-137), the 10 bus tracks Needham says he doesn’t normally have in his session (dark green), two master tracks, four mix print tracks, and another two master tracks with EQ that adjusts for the room Needham is listening in. This breakdown includes the aux effect tracks that are located right underneath the tracks they are affecting, or in this case, effecting. “The drums on this track are constructed by having Mick play specific parts, and me then cutting and looping these together to come up with something that has more of a modern feeling. Some of the songs were played live all the way through, but this is a song in which we did a lot of cutting, adding in some different sounds, different kick drum hits, and different effects, all to bring in the more modern elements. Normally I would be doing parallel bus compression on the drums, but we are trying not to over-compress things. 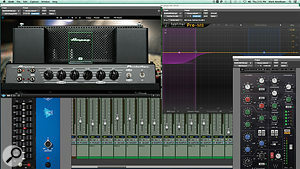 The bottom section of the Pro Tools Edit window shows various reference mixes that were re-recorded into the session, as well as the fade-out and group gain rides.“As I also mentioned earlier, as a general rule, and all the way across, I was trying to stay with just one plug-in, the Waves SSL Channel, to try to stay with the sound of a console, instead of the modern approach, which involves using multitudes of plug-ins. We were trying to find a middle ground between a more traditional sound and being modern to some degree. “For example, the intro for this song was kind of constructed. We tried several different intros, and in the end constructed one with two kick loops (1-2) and I added a snare (15). Then, track 3 is a 909 sample which I added, playing four to the floor softly in the background, and track 4 adds a kick drum accent, recorded with the NS10 mic and distorted a little bit, and I moved that slightly so it’s on the offbeat between beat 3 and 4 in the bar. You will find that a lot of Lindsay’s material, and a lot of Fleetwood Mac’s output, has soft things going on underneath that you don’t even consciously hear, but that create a subtle background pulse. It might be somebody tapping a hand on a couch. In fact, there are a lot of couches on these tracks! “Tracks 5-9 are kick loops that go throughout the track, 10-11 are left and right overhead loops, and 12-14 are LCR room loops. 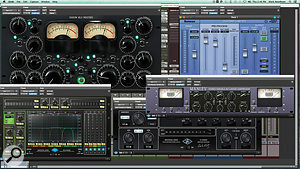 All these tracks have the Waves SSL Channel. I might have started with a kick preset as a starting point, but the settings can be wildly different for each track. Five of these kick tracks also have the Sonnox Envolution, adding a little bit more attack, and cutting some sustain. 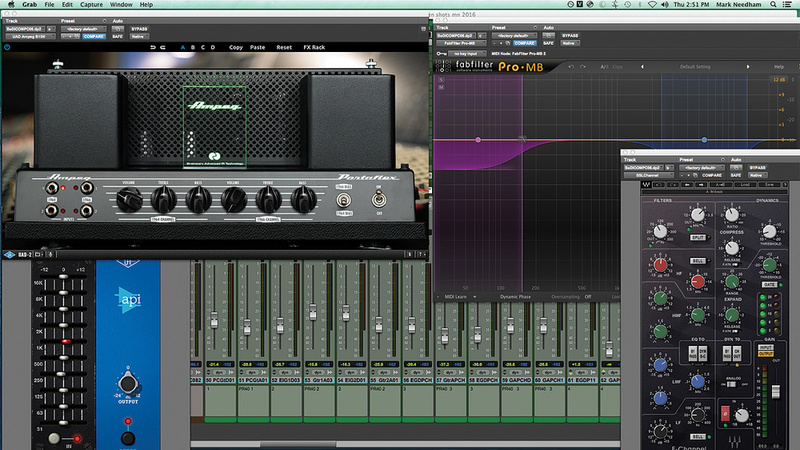 The kick drum accent track has the Softube Abbey Road RS127 plug-in, adding 4dB at 2.7kHz, for some more attack. “Tracks 90-91 are Christine’s lead vocal, with a double and an aux track (92), with a UAD EMT 140 plate reverb. Tracks 93-94 are Lindsey’s lead vocal, also with a double, and 95-96 are his chorus lead vocals. 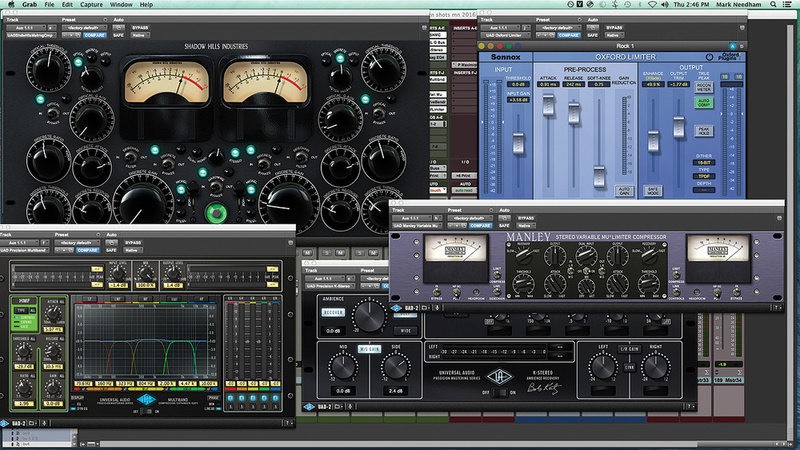 Yes, there are a lot of plug-ins on these tracks! This is how I usually do vocals, because I’m going for a more modern vocal sound here. The chain for all main lead vocal tracks starts with the FabFilter Pro-DS de-esser, set really wide, just barely hitting the vocal, then a Waves CLA 1176 set to medium attack with a super-fast release, then the UAD Precision De-esser set quite a bit tighter than the Pro-DS. After that there’s the Waves SSL Channel, and finally the UAD LA2A set very soft overall, taking off half a dB max. I use a combination of two de-essers because it allows me to get more de-essing done without it sounding like it’s being de-essed. 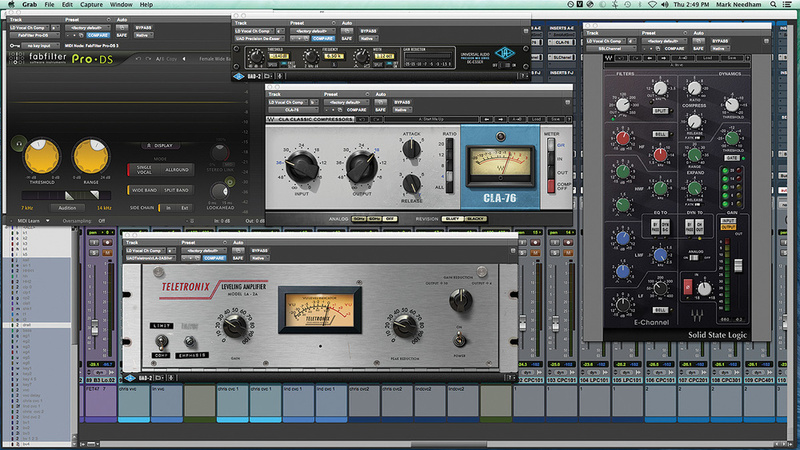 I also like using the combination of two compressors, and find a sweet spot between the two. 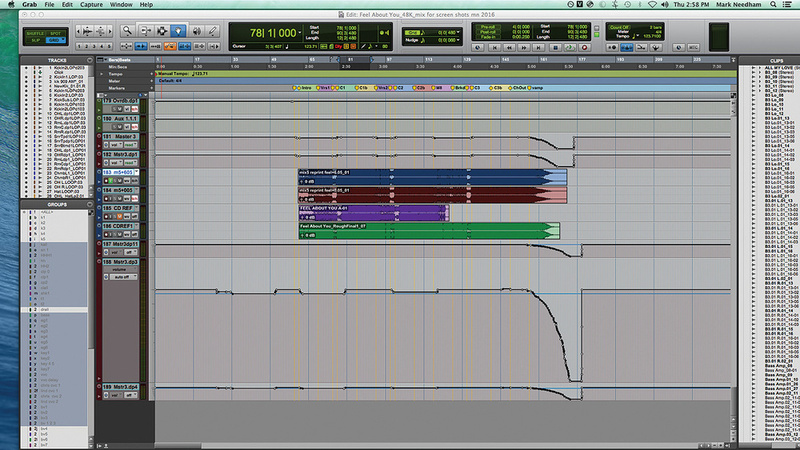 The lead vocal doubles are filtered out pretty hard on the bottom end. Mark Needham achieved a ‘modern’ lead vocal sound through extensive plug-in processing.“Lindsey’s chorus vocal has the same plug-ins, apart from the FabFilter, and there definitely are different EQs and compression levels on these. All Lindsey’s vocals have a send to an Altiverb aux (101), on a Cello Chamber setting. Tracks 102-113 contain the post-chorus vocals of the song, and they have a Bus 23-24 send that’s going to another aux (146) with the Altiverb Cello Chamber, but set to a different level. The send to bus 23-24 is muted on the rest of the backing vocals, 114-145, because we decided in the end to dry these up completely. I like having slightly different combinations of reverbs between the verses, chorus and bridge. I enjoy the feel of the space changing a little bit between different sections and parts. Although several compressors were used on the mix bus, each of them was only contributing a very small amount of gain reduction. “Tracks 171-180 are the groups from the original tracking sessions. All the drums through the drum bus, all the bass tracks through the bass bus, and so on. I don’t normally do this any more, but in the days when I was mixing on an SSL I always had eight subgroups like this. Track 71 has a reverb that we experimented with, but we ended up muting it. All these group tracks go to my mix bus, which is track 180, which has my mix bus chain, and that then gets sent to two Master Fader tracks, 181 and 182, which each have the UAD Precision Maximizer on them, one at +6dB and the other at +0. These get printed on tracks 183-184. Finally, tracks 187-189 have three different instances of the Sonarworks studio calibration plug-in, to calibrate for playback in my Los Angeles room, the room we mixed in at the Village Recorder, and my room in Nashville. “To unpack all that a bit more, my stereo bus chain on track 180 consists of the UAD Shadow Hills Mastering compressor, UAD SSL G channel, UAD Precision K-Stereo Ambience Recovery, to spread things out a bit more when going from verse to chorus, UAD Maag EQ4 — I like to add a bit of sub with that — the UAD Precision Multiband, the UAD Chandler Curve Bender and the UAD Oxford Limiter. 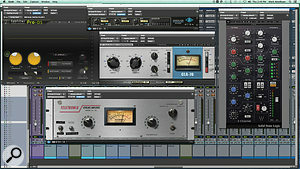 I use a combination of a few different compressors, each of which is very slight and subtle. It’s a combination that I use often, and it is about getting the balance between all the different things. The Precision Multiband tightens up the bottom end a little bit in some of the sections. The VariMu is in limiting mode, but hits the loudest section with only a quarter or a half a decibel. There are things that I have come up with over the years and that I like the sound of. The Oxford Limiter is maybe only coming down on some very top peaks. My master bus chain is usually a little bit more involved than this. Normally there would be a couple more things in there. 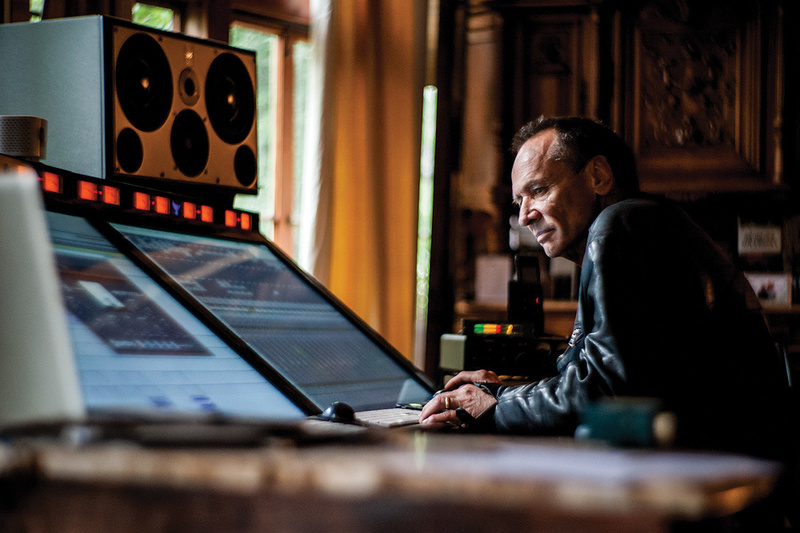 Given Mark Needham’s track record, Marcussen may have found it hard to improve his mixes by 10 percent! A long time before Mark Needham had earned his 11 Grammy Award nominations and had scored major successes in his work with the Killers, Shakira, Chris Isaak, Blondie, Bruce Hornsby, Neon Trees, Imagine Dragons and many others, he was a kid growing up playing guitar and drums and fascinated by music equipment. “I had a room full of amplifiers and pieced-together tape recorders and things like that. I moved to San Francisco, and in 1972 I started building my own studio, which had an Altec 4:2 mixer, and I read the audio encyclopaedia front to back three times. I built everything myself in my first studios. My partner and I built our own console and even our own 24-track. We’d bought an old two-inch video recorder for $500 at a junk store and spent a couple of months turning that into a 24-track tape recorder! “I always figured things out on my own — I never worked as an assistant in a big studio. It’s probably how I came up with my different methods of doing stuff! Though I did learn from working with some well-known people in the Bay Area in the 1970s, like Fred Catero and Erik Jacobsen. I had several moments that you can call breakthroughs in my career. I worked on my first major label album with Taj Mahal — I was so nervous! The song ‘Wicked Game’ by Chris Isaak [1990, and produced by Erik Jacobsen], was probably the first song I engineered and mixed that became big across the US. The Killers’ Hot Fuss album  was another breakthrough. The album’s main single, ‘Mr Brightside’, has become a classic. I developed that band and helped sign them to Island Records. I’ve been into developing artists for a long time, and also helped sign Imagine Dragons to Interscope in 2011. 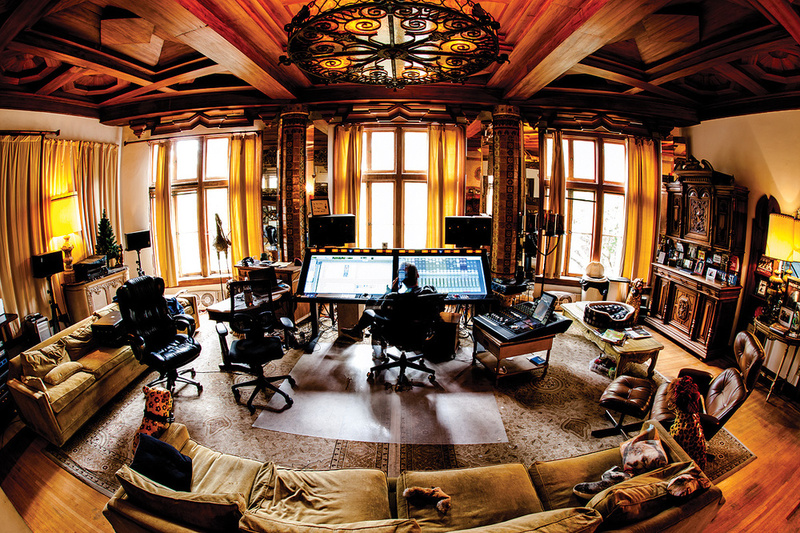 Mark Needham’s Red Oak Studios control room is a huge space, with wood panels everywhere, comfortable furniture, and large French doors overlooking a local park in Hollywood. In true 21st Century fashion, the audio equipment occupies just a small part of it. There are a couple of ATC SCM45 speakers with an ATC SCM0.1/15 sub, an Avid S6 M10 8-5 control surface, three Avid HD I/O interfaces, four Lavry Blue 4496 D-A converters, an Apogee Rosetta 200 A-D/D-A converter, an Antelope Isochrone OCX master clock, no fewer than four UAD Octo DSP cards, and a few recording bits and pieces, like Fairchild, GML and Daking mic pres, plus EAR 660 and Urei Silverface 1178 limiter/compressors. Above all, though, it’s his custom dual Slate Raven controllers that catch the eye. “When I first saw the first Raven,” Needman recalls, “I loved the resolution of the screens and I saw that the layout would be really comfortable for me to work on. I find that it makes my workflow a lot easier and faster. Also, the problem with [sound] reflections isn’t as strong with these screens. One of my first big-format consoles was an API DeMideo from Wally Heider’s in San Francisco, during the time I had a studio up in that city. The angle of those API consoles was quite a bit steeper than that of normal consoles, and I really liked the sound of that. The Raven matches that angle, and so the reflections from the speakers have the same feel.